SAVE $7,384 VS NEW ON THIS ROGUE SV TECH AWD WITH HEATED SEATS, NAV AND BACK UP CAM! This Glacier White Rogue SV Tech AWD is powered by a 2.5L 4-Cylinder Engine and an Automatic Transmission. It comes fully equipped with Power Heated Seats, Factory Nissan Navigation System, Power Sunroof, Rear View Camera with Park Assist, Tri-Zone Climate Control, Blind Spot Detection with Cross-Traffic Alert, Heated Multifunction Steering Wheel, Factory Nissan Keyless Entry with Remote Start, Bluetooth Hands-free, Satellite Radio, Power Locks and Windows, Fog Lights, Adaptive Cruise Control and much more! This Fully Loaded Rogue SV Tech AWD comes backed by our Worry Free Certification! Only $29,994 or $112/Wk Tax Inc. $0 Down! Call Toll Free 1-888-342-7597 or (506) 457-4500, or email Sales@volvocarsnb.com for more info! FREE DELIVERY ANYWHERE IN THE MARITIMES!! Worry-Free Certified Vehicles offer Canada's best protection for both you and your vehicle including an Industry Leading 170-point Mechanical and Cosmetic Inspection, and All Come with a Brand New 1-Year Motor Vehicle Inspection (MVI)! Our Worry Free Certified Vehicles offers you A Better Used Vehicle Period!!! Minimum of 6 Months Warranty for FREE, Satisfaction Guaranteed No Hassle 3-Day Exchange, Student and Military Rebates. We Work with All Lenders To Ensure You Get The BEST Financing Rates Guaranteed. FREE CarFax History Report with all vehicles!! *PROTECT YOURSELF!!! DO NOT PURCHASE A PRE-OWNED VEHICLE WITHOUT A CARFAX REPORT, THE ONLY CANADIAN HISTORY REPORT ON THE MARKET*	***With the HUGE influx of New Arrivals at Volvo Cars New Brunswick, certain vehicles may not be ready or have pictures yet. Feel free to send us an email and we will be glad to let you know the status of the vehicle you’re interested in and send you any additional information needed to offer you a seamless transaction!!! ***	It is the purchaser's responsibility to personally verify year, make, model, mileage, options and any remaining or extended warranty prior to purchasing this vehicle. Although many of our Worry Free Certified vehicles have multiple sets of keys, a minimum of 1 key can be guaranteed with our pre-loved units. Convenient and Quick On-Site Financing Offering the Lowest Applicable Rates - Regardless of credit, we have access to lenders that can help! FREE No Obligation Pre-Approvals within 2 hours from the Comfort of Your Home!! Apply Online @ www.driveluxury.ca	Communities Served: In N.B. : Fredericton, Saint John, Moncton, Quispamsis, Rothesay, Hampton, Sussex, Oromocto, New Maryland, Saint Andrews, Saint Stephen, Woodstock, Grand Falls, Edmundston, Campbellton, Dalhousie, Bathurst, Miramichi, Richibucto, Buctouche, Cocagne, Shediac, Memramcook, Sackville, and everywhere in between! In N.S. : Amherst, Truro, New Glasgow, Pictor, Antigonish, Port Hawkesbury, Sydney, Glace Bay, Enfield, Fall River, Sackville, Waverley, Dartmouth, Halifax, Windsor, Wolfville, Kentville, Coldbrook, Berwick, Aylesford, Kingston, Greenwood, Middleton, Bridgetown, Digby, Yarmouth, Barrington, Shelburne, Liverpool, Bridgewater, Luneubury, Tantallon, and everywhere in between! In P.E.I. : Charlottetown, Summerside, Montague, Rusticoville, Kensington, Alberton, Tignish, O'Leary, and everywhere in between! CERTIFIED PRE-OWNED V60 CROSS COUNTRY T5 AWD WITH FULL VOLVO EXTENDED WARRANTY TO 160,000KM! This Onyx Black V60 T5 Premier Plus AWD is powered by a 2.0L 4-Cylinder Engine and an Automatic Transmission. It comes well-appointed with Technology, Climate, BLIS and Premier Plus Packages which include Power Heated Black Leather Interior with Driver Memory Positioning, Rear Heated Seats, Factory Volvo Connected Navigation, Rear View Camera with Park Assist, Power Sunroof, Heated Steering Wheel, Heated Windshield with Heated Washer Nozzles, Adaptive Cruise Control, Collision Warning, BLIS (Blind Spot Information System), Volvo On Call, Volvo Sensus with Integrated 7 Color Display, Bluetooth Hands-free, Rain Sensing Wipers, Keyless Entry, 19 Inch Alloy Wheels, and standard options such as Power Locks/Windows and Cruise Control. This V60 T5 Premier Plus is fully loaded AND comes with a Factory Volvo Certified Pre-Owned 6 Year / 160,000KM Extended Warranty! Only $37,994 or $141/Wk Tax Inc. $0 Down! Call Toll Free 1-888-342-7597 or (506) 457-4500, or email Sales@volvocarsnb.com for more info! FREE DELIVERY ANYWHERE IN THE MARITIMES!! When you buy a Certified Pre-Owned Volvo, you’re getting more than a great previously owned vehicle. You’re getting our commitment to your satisfaction. We accept only the best pre-owned Volvos, and we make them even better with our signature quality and safety. All pre-owned vehicles receive the latest software upgrades, and Volvo-approved checks to certify they meet our safety, performance, and appearance standards through our 130+ Point Inspection. Enjoy the Total Confidence and Peace of Mind that comes with our 72 Month/160,000 km Warranty, 24/7/365 Roadside assistance during the entire warranty with Volvo On Call, and attractive financing options starting at 0.9% on select terms! When you purchase a Certified Pre-Owned Volvo, you’ll have the same confidence and pride in your vehicle as you would a brand-new one — without the new-vehicle price tag! It is the purchaser’s responsibility to personally verify year, make, model, options and any remaining or extended warranty prior to purchasing this vehicle. Convenient and Quick On-Site Financing Offering the Lowest Applicable Rates - Regardless of credit,we have access to lenders that can help! FREE No Obligation Pre-Approvals within 2 hours!! Apply Online @ www.volvocarsnb.com	Communities Served: In N.B. : Fredericton, Saint John, Moncton, Quispamsis, Rothesay, Hampton, Sussex, Oromocto, New Maryland, Saint Andrews, Saint Stephen, Woodstock, Grand Falls, Edmundston, Campbellton, Dalhousie, Bathurst, Miramichi, Richibucto, Buctouche, Cocagne, Shediac, Memramcook, Sackville, and everywhere in between! In N.S. : Amherst, Truro, New Glasgow, Pictor, Antigonish, Port Hawkesbury, Sydney, Glace Bay, Enfield, Fall River, Sackville, Waverley, Dartmouth, Halifax, Windsor, Wolfville, Kentville, Coldbrook, Berwick, Aylesford, Kingston, Greenwood, Middleton, Bridgetown, Digby, Yarmouth, Barrington, Shelburne, Liverpool, Bridgewater, Luneubury, Tantallon, and everywhere in between! In P.E.I. : Charlottetown, Summerside, Montague, Rusticoville, Kensington, Alberton, Tignish, O’Leary, and everywhere in between! SAVE $7,148 VS NEW!!! TIGUAN TRENDLINE AWD WITH HEATED SEATS AND BACK UP CAM! ONLY 12K! This Dark Moss Green Tiguan Trendline AWD is powered by a 2.0L 4-Cylinder Engine and an Automatic Transmission. It comes fully equipped with Heated Front Seats, Rear View Camera with Park Assist, Touchscreen Multimedia Center, Factory Volkswagen Keyless Entry, Bluetooth Hands-free, Satellite Radio, Power Locks and Windows, AM/FM Radio, Fog Lights, Cruise Control and much more! This Tiguan Trendline AWD is fully equipped and ready for its next owner! Worry Free Certified! Only $27,944 or $105/Wk Tax Inc. $0 Down! Call Toll Free 1-888-342-7597 or (506) 457-4500, or email Sales@volvocarsnb.com for more info! FREE DELIVERY ANYWHERE IN THE MARITIMES!! Worry-Free Certified Vehicles offer Canada's best protection for both you and your vehicle including an Industry Leading 170-point Mechanical and Cosmetic Inspection, and All Come with a Brand New 1-Year Motor Vehicle Inspection (MVI)! Our Worry Free Certified Vehicles offers you A Better Used Vehicle Period!!! Minimum of 6 Months Warranty for FREE, Satisfaction Guaranteed No Hassle 7-Day Exchange, Student and Military Rebates. We Work with All Lenders To Ensure You Get The BEST Financing Rates Guaranteed. FREE Carfax History Report with all vehicles!! *PROTECT YOURSELF!!! DO NOT PURCHASE A PRE-OWNED VEHICLE WITHOUT A CARFAX REPORT, THE ONLY CANADIAN HISTORY REPORT ON THE MARKET*	***With the HUGE influx of New Arrivals at Volvo Cars New Brunswick, certain vehicles may not be ready or have pictures yet. Feel free to send us an email and we will be glad to let you know the status of the vehicle you’re interested in and send you any additional information needed to offer you a seamless transaction!!! ***	It is the purchaser's responsibility to personally verify year, make, model, mileage, options and any remaining or extended warranty prior to purchasing this vehicle. Although many of our Worry Free Certified vehicles have multiple sets of keys, a minimum of 1 key can be guaranteed with our pre-loved units. Convenient and Quick On-Site Financing Offering the Lowest Applicable Rates - Regardless of credit, we have access to lenders that can help! FREE No Obligation Pre-Approvals within 2 hours from the Comfort of Your Home!! Apply Online @ www.driveluxury.ca	Communities Served: In N.B. : Fredericton, Saint John, Moncton, Quispamsis, Rothesay, Hampton, Sussex, Oromocto, New Maryland, Saint Andrews, Saint Stephen, Woodstock, Grand Falls, Edmundston, Campbellton, Dalhousie, Bathurst, Miramichi, Richibucto, Buctouche, Cocagne, Shediac, Memramcook, Sackville, and everywhere in between! In N.S. : Amherst, Truro, New Glasgow, Pictor, Antigonish, Port Hawkesbury, Sydney, Glace Bay, Enfield, Fall River, Sackville, Waverley, Dartmouth, Halifax, Windsor, Wolfville, Kentville, Coldbrook, Berwick, Aylesford, Kingston, Greenwood, Middleton, Bridgetown, Digby, Yarmouth, Barrington, Shelburne, Liverpool, Bridgewater, Luneubury, Tantallon, and everywhere in between! In P.E.I. : Charlottetown, Summerside, Montague, Rusticoville, Kensington, Alberton, Tignish, O'Leary, and everywhere in between! CERTIFIED PRE-OWNED XC90 T5 MOMENTUM AWD WITH FULL VOLVO EXTENDED WARRANTY TO 160,000KM! This Bright Silver XC90 T5 Momentum is powered by a 2.0L 4-Cylinder Engine and an Automatic Transmission. It comes fully equipped with Climate, Convenience, Momentum Plus and Vision Packages. Include in these packages are; Power Heated Leather Interior with Driver’s Memory Positioning, Factory Volvo Navigation System, Rear View Camera with Park Assist, Power Panoramic Sunroof, Blind Spot Information System, Lane Keeping Aid, Touchscreen Multimedia Center, Tri-Zone Climate Control, Heated Windshield, Factory Volvo Keyless Entry, Bluetooth Hands-free, Satellite Radio, Power Lift Gate, Power Locks and Windows, Alloy Wheels and much more! This Luxurious XC90 T5 Momentum comes with our un-beatable Factory Volvo Certified Pre-Owned 6 Year / 160,000KM Warranty! Come in today and test drive this gorgeous vehicle! Only $58,994 or $217/Wk Tax Inc. $0 Down! Call Toll Free 1-888-342-7597 or (506) 457-4500, or email Sales@volvocarsnb.com for more info! FREE DELIVERY ANYWHERE IN THE MARITIMES!! When you buy a Certified Pre-Owned Volvo, you’re getting more than a great previously owned vehicle. You’re getting our commitment to your satisfaction. We accept only the best pre-owned Volvos, and we make them even better with our signature quality and safety. All pre-owned vehicles receive the latest software upgrades, and Volvo-approved checks to certify they meet our safety, performance, and appearance standards through our 130+ Point Inspection. Enjoy the Total Confidence and Peace of Mind that comes with our 72 Month/160,000 km Warranty, 24/7/365 Roadside assistance during the entire warranty with Volvo On Call, and attractive financing options starting at 0.9% on select terms! When you purchase a Certified Pre-Owned Volvo, you’ll have the same confidence and pride in your vehicle as you would a brand-new one — without the new-vehicle price tag! ***With the HUGE influx of New Arrivals at Volvo Cars New Brunswick, certain vehicles may not be ready or have pictures yet. Feel free to send us an email and we will be glad to let you know the status of the vehicle you’re interested in and send you any additional information needed to offer you a seamless transaction!!! ***	It is the purchaser’s responsibility to personally verify year, make, model, options and any remaining or extended warranty prior to purchasing this vehicle. Convenient and Quick On-Site Financing Offering the Lowest Applicable Rates - Regardless of credit,we have access to lenders that can help! FREE No Obligation Pre-Approvals within 2 hours!! Apply Online @ www.volvocarsnb.com	Communities Served: In N.B. : Fredericton, Saint John, Moncton, Quispamsis, Rothesay, Hampton, Sussex, Oromocto, New Maryland, Saint Andrews, Saint Stephen, Woodstock, Grand Falls, Edmundston, Campbellton, Dalhousie, Bathurst, Miramichi, Richibucto, Buctouche, Cocagne, Shediac, Memramcook, Sackville, and everywhere in between! In N.S. : Amherst, Truro, New Glasgow, Pictor, Antigonish, Port Hawkesbury, Sydney, Glace Bay, Enfield, Fall River, Sackville, Waverley, Dartmouth, Halifax, Windsor, Wolfville, Kentville, Coldbrook, Berwick, Aylesford, Kingston, Greenwood, Middleton, Bridgetown, Digby, Yarmouth, Barrington, Shelburne, Liverpool, Bridgewater, Luneubury, Tantallon, and everywhere in between! In P.E.I. : Charlottetown, Summerside, Montague, Rusticoville, Kensington, Alberton, Tignish, O’Leary, and everywhere in between! CERTIFIED PRE-OWNED V60 CROSS COUNTRY T5 AWD WITH FULL VOLVO EXTENDED WARRANTY TO 160,000KM! This Crystal White V60 T5 Premier Plus AWD is powered by a 2.0L 4-Cylinder Engine and an Automatic Transmission. It comes well-appointed with Technology, Climate, BLIS and Premier Plus Packages which include Power Heated Black Leather Interior with Driver Memory Positioning, Rear Heated Seats, Factory Volvo Connected Navigation, Rear View Camera with Park Assist, Power Sunroof, Heated Steering Wheel, Heated Windshield with Heated Washer Nozzles, Adaptive Cruise Control, Collision Warning, BLIS (Blind Spot Information System), Volvo On Call, Volvo Sensus with Integrated 7 Color Display, Bluetooth Hands-free, Rain Sensing Wipers, Keyless Entry, 19 Inch Alloy Wheels, and standard options such as Power Locks/Windows and Cruise Control. This V60 T5 Premier Plus is fully loaded AND comes with a Factory Volvo Certified Pre-Owned 6 Year / 160,000KM Extended Warranty! Only $37,944 or $141/Wk Tax Inc. $0 Down! Call Toll Free 1-888-342-7597 or (506) 457-4500, or email Sales@volvocarsnb.com for more info! FREE DELIVERY ANYWHERE IN THE MARITIMES!! When you buy a Certified Pre-Owned Volvo, you’re getting more than a great previously owned vehicle. You’re getting our commitment to your satisfaction. We accept only the best pre-owned Volvos, and we make them even better with our signature quality and safety. All pre-owned vehicles receive the latest software upgrades, and Volvo-approved checks to certify they meet our safety, performance, and appearance standards through our 130+ Point Inspection. Enjoy the Total Confidence and Peace of Mind that comes with our 72 Month/160,000 km Warranty, 24/7/365 Roadside assistance during the entire warranty with Volvo On Call, and attractive financing options starting at 0.9% on select terms! When you purchase a Certified Pre-Owned Volvo, you’ll have the same confidence and pride in your vehicle as you would a brand-new one — without the new-vehicle price tag! It is the purchaser’s responsibility to personally verify year, make, model, options and any remaining or extended warranty prior to purchasing this vehicle. Convenient and Quick On-Site Financing Offering the Lowest Applicable Rates - Regardless of credit,we have access to lenders that can help! FREE No Obligation Pre-Approvals within 2 hours!! Apply Online @ www.volvocarsnb.com	Communities Served: In N.B. : Fredericton, Saint John, Moncton, Quispamsis, Rothesay, Hampton, Sussex, Oromocto, New Maryland, Saint Andrews, Saint Stephen, Woodstock, Grand Falls, Edmundston, Campbellton, Dalhousie, Bathurst, Miramichi, Richibucto, Buctouche, Cocagne, Shediac, Memramcook, Sackville, and everywhere in between! In N.S. : Amherst, Truro, New Glasgow, Pictor, Antigonish, Port Hawkesbury, Sydney, Glace Bay, Enfield, Fall River, Sackville, Waverley, Dartmouth, Halifax, Windsor, Wolfville, Kentville, Coldbrook, Berwick, Aylesford, Kingston, Greenwood, Middleton, Bridgetown, Digby, Yarmouth, Barrington, Shelburne, Liverpool, Bridgewater, Luneubury, Tantallon, and everywhere in between! In P.E.I. : Charlottetown, Summerside, Montague, Rusticoville, Kensington, Alberton, Tignish, O’Leary, and everywhere in between! SAVE $30,684 VS NEW ON THIS V90 T6 R-DESIGN WITH FACTORY VOLVO CERTIFIED PRE-OWNED WARRANTY TO 160,000KM! This Crystal White Pearl V90 T6 R-Design is powered by a 2.0L 4-Cylinder Engine and an Automatic Transmission. Being an R-Design, it comes fully equipped with Power Heated and Cooled Charcoal R-Design Nubuck Leather Interior with Driver’s Memory Positioning, Factory Volvo Navigation System, 360 Degree Camera with Park Assist, Power Panoramic Sunroof, Heated Steering Wheel, Heated Rear Seats, Blind Spot Detection System, Tri-Zone Climate Control, Factory Volvo Keyless Entry, Touchscreen Multimedia Center, Bluetooth Hands-free, Satellite Radio, Power Lift Gate,20 Inch Black Diamond Cut Alloy Wheels, Adaptive Cruise Control and much more! You’ll never experience a smoother ride than one in the V90 T6 R- Design. Fully equipped with world class options, it also comes with Volvo’s Certified Pre-Owned 6 Year / 160,000KM Warranty! Only $57,944 or $213/Wk Tax Inc. $0 Down! Call Toll Free 1-888-342-7597 or (506) 457-4500, or email Sales@volvocarsnb.com for more info! FREE DELIVERY ANYWHERE IN THE MARITIMES!! When you buy a Certified Pre-Owned Volvo, you’re getting more than a great previously owned vehicle. You’re getting our commitment to your satisfaction. We accept only the best pre-owned Volvos, and we make them even better with our signature quality and safety. All pre-owned vehicles receive the latest software upgrades, and Volvo-approved checks to certify they meet our safety, performance, and appearance standards through our 130+ Point Inspection. Enjoy the Total Confidence and Peace of Mind that comes with our 72 Month/160,000 km Warranty, 24/7/365 Roadside assistance during the entire warranty with Volvo On Call, and attractive financing options starting at 0.9% on select terms! When you purchase a Certified Pre-Owned Volvo, you’ll have the same confidence and pride in your vehicle as you would a brand-new one — without the new-vehicle price tag! ***With the HUGE influx of New Arrivals at Volvo Cars New Brunswick, certain vehicles may not be ready or have pictures yet. Feel free to send us an email and we will be glad to let you know the status of the vehicle you’re interested in and send you any additional information needed to offer you a seamless transaction!!! ***	It is the purchaser’s responsibility to personally verify year, make, model, options and any remaining or extended warranty prior to purchasing this vehicle. Convenient and Quick On-Site Financing Offering the Lowest Applicable Rates - Regardless of credit,we have access to lenders that can help! FREE No Obligation Pre-Approvals within 2 hours!! 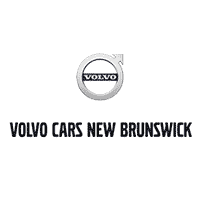 Apply Online @ www.volvocarsnb.com	Communities Served: In N.B. : Fredericton, Saint John, Moncton, Quispamsis, Rothesay, Hampton, Sussex, Oromocto, New Maryland, Saint Andrews, Saint Stephen, Woodstock, Grand Falls, Edmundston, Campbellton, Dalhousie, Bathurst, Miramichi, Richibucto, Buctouche, Cocagne, Shediac, Memramcook, Sackville, and everywhere in between! In N.S. : Amherst, Truro, New Glasgow, Pictor, Antigonish, Port Hawkesbury, Sydney, Glace Bay, Enfield, Fall River, Sackville, Waverley, Dartmouth, Halifax, Windsor, Wolfville, Kentville, Coldbrook, Berwick, Aylesford, Kingston, Greenwood, Middleton, Bridgetown, Digby, Yarmouth, Barrington, Shelburne, Liverpool, Bridgewater, Luneubury, Tantallon, and everywhere in between! In P.E.I. : Charlottetown, Summerside, Montague, Rusticoville, Kensington, Alberton, Tignish, O’Leary, and everywhere in between! CROSSTREK CONVENIENCE AWD WITH BACK UP CAM! This Crystal White Pearl Crosstrek Convenience AWD is powered by a 2.0L 4-Cylinder Engine and an Automatic Transmission. It comes fully equipped with Rear View Camera with Park Assist, Touchscreen Multimedia Center, Bluetooth Hands-free, Power Locks and Windows, Alloy Wheels, Air Conditioning, Cruise Control and much more! This Crosstrek Convenience AWD is fully equipped and Worry Free Certified! Only $23,994 or $90/Wk Tax Inc. $0 Down! Call Toll Free 1-888-342-7597 or (506) 457-4500, or email Sales@volvocarsnb.com for more info! FREE DELIVERY ANYWHERE IN THE MARITIMES!! Worry-Free Certified Vehicles offer Canada's best protection for both you and your vehicle including an Industry Leading 170-point Mechanical and Cosmetic Inspection, and All Come with a Brand New 1-Year Motor Vehicle Inspection (MVI)! Our Worry Free Certified Vehicles offers you A Better Used Vehicle Period!!! Minimum of 6 Months Warranty for FREE, Satisfaction Guaranteed No Hassle 3-Day Exchange, Student and Military Rebates. We Work with All Lenders To Ensure You Get The BEST Financing Rates Guaranteed. FREE CarFax History Report with all vehicles!! *PROTECT YOURSELF!!! DO NOT PURCHASE A PRE-OWNED VEHICLE WITHOUT A CARFAX REPORT, THE ONLY CANADIAN HISTORY REPORT ON THE MARKET*	***With the HUGE influx of New Arrivals at Volvo Cars New Brunswick, certain vehicles may not be ready or have pictures yet. Feel free to send us an email and we will be glad to let you know the status of the vehicle you’re interested in and send you any additional information needed to offer you a seamless transaction!!! ***	It is the purchaser's responsibility to personally verify year, make, model, mileage, options and any remaining or extended warranty prior to purchasing this vehicle. Although many of our Worry Free Certified vehicles have multiple sets of keys, a minimum of 1 key can be guaranteed with our pre-loved units. Convenient and Quick On-Site Financing Offering the Lowest Applicable Rates - Regardless of credit, we have access to lenders that can help! FREE No Obligation Pre-Approvals within 2 hours from the Comfort of Your Home!! Apply Online @ www.driveluxury.ca	Communities Served: In N.B. : Fredericton, Saint John, Moncton, Quispamsis, Rothesay, Hampton, Sussex, Oromocto, New Maryland, Saint Andrews, Saint Stephen, Woodstock, Grand Falls, Edmundston, Campbellton, Dalhousie, Bathurst, Miramichi, Richibucto, Buctouche, Cocagne, Shediac, Memramcook, Sackville, and everywhere in between! In N.S. : Amherst, Truro, New Glasgow, Pictor, Antigonish, Port Hawkesbury, Sydney, Glace Bay, Enfield, Fall River, Sackville, Waverley, Dartmouth, Halifax, Windsor, Wolfville, Kentville, Coldbrook, Berwick, Aylesford, Kingston, Greenwood, Middleton, Bridgetown, Digby, Yarmouth, Barrington, Shelburne, Liverpool, Bridgewater, Luneubury, Tantallon, and everywhere in between! In P.E.I. : Charlottetown, Summerside, Montague, Rusticoville, Kensington, Alberton, Tignish, O'Leary, and everywhere in between! CERTIFIED PRE-OWNED XC90 T6 MOMENTUM T6 AWD WITH WARRANTY TO 160K! TRADED RIGHT HERE AT VOLVO CARS NB! This Magic Blue XC90 T6 Momentum AWD is powered by a 2.0L 4-Cylinder Engine and an Automatic Transmission. It comes fully equipped with Power Heated Leather Interior with Driver’s Memory Positioning, Factory Volvo Navigation System, Rear View Camera with Park Assist, Power Sunroof, Tri-Zone Climate Control, Blind Spot Detection System, Touchscreen Multimedia Center, Factory Volvo Keyless Entry, Power Lift Gate, Bluetooth Hands-free, Satellite Radio, Power Locks and Windows, AM/FM Radio, Fog Lights, Cruise Control and much more! This XC90 T6 Momentum AWD was traded right here at Volvo Cars NB and comes backed by a Factory 6 Year / 160,000KM Volvo Warranty! Only $47,944 or $196/Wk Tax Inc. $0 Down! Call Toll Free 1-888-342-7597 or (506) 457-4500, or email Sales@volvocarsnb.com for more info! FREE DELIVERY ANYWHERE IN THE MARITIMES!! When you buy a Certified Pre-Owned Volvo, you’re getting more than a great previously owned vehicle. You’re getting our commitment to your satisfaction. We accept only the best pre-owned Volvos, and we make them even better with our signature quality and safety. All pre-owned vehicles receive the latest software upgrades, and Volvo-approved checks to certify they meet our safety, performance, and appearance standards through our 130+ Point Inspection. Enjoy the Total Confidence and Peace of Mind that comes with our 72 Month/160,000 km Warranty, 24/7/365 Roadside assistance during the entire warranty with Volvo On Call, and attractive financing options starting at 0.9% on select terms! When you purchase a Certified Pre-Owned Volvo, you’ll have the same confidence and pride in your vehicle as you would a brand-new one — without the new-vehicle price tag! ***With the HUGE influx of New Arrivals at Volvo Cars New Brunswick, certain vehicles may not be ready or have pictures yet. Feel free to send us an email and we will be glad to let you know the status of the vehicle you’re interested in and send you any additional information needed to offer you a seamless transaction!!! ***	It is the purchaser’s responsibility to personally verify year, make, model, options and any remaining or extended warranty prior to purchasing this vehicle. Convenient and Quick On-Site Financing Offering the Lowest Applicable Rates - Regardless of credit, we have access to lenders that can help! FREE No Obligation Pre-Approvals within 2 hours!! Apply Online @ www.volvocarsnb.com	Communities Served: In N.B. : Fredericton, Saint John, Moncton, Quispamsis, Rothesay, Hampton, Sussex, Oromocto, New Maryland, Saint Andrews, Saint Stephen, Woodstock, Grand Falls, Edmundston, Campbellton, Dalhousie, Bathurst, Miramichi, Richibucto, Buctouche, Cocagne, Shediac, Memramcook, Sackville, and everywhere in between! In N.S. : Amherst, Truro, New Glasgow, Pictor, Antigonish, Port Hawkesbury, Sydney, Glace Bay, Enfield, Fall River, Sackville, Waverley, Dartmouth, Halifax, Windsor, Wolfville, Kentville, Coldbrook, Berwick, Aylesford, Kingston, Greenwood, Middleton, Bridgetown, Digby, Yarmouth, Barrington, Shelburne, Liverpool, Bridgewater, Luneubury, Tantallon, and everywhere in between! In P.E.I. : Charlottetown, Summerside, Montague, Rusticoville, Kensington, Alberton, Tignish, O’Leary, and everywhere in between! GRAND CHEROKEE SUMMIT 4X4 WITH HEATED/COOLED LEATHER, NAV, BACK UP CAM AND SUNROOF! TRADED RIGHT HERE AT VOLVO CARS NB! This Granite Crystal Metallic Grand Cherokee Summit 4x4 is powered by a 3.6L 6-Cylinder Engine and an Automatic Transmission. It comes fully equipped with Power Heated and Cooled Leather with Driver’s Memory Positioning, Factory Jeep Navigation System, Rear View Camera with Park Assist, Power Sunroof, Power Lift Gate, Adjustable Ride Height Air Suspension, Dual Climate Control, Touchscreen Multimedia Center, Factory Jeep Keyless Entry with Remote Start, Bluetooth Hands-free, Satellite Radio, Power Locks and Windows, AM/FM Radio, Fog Lights, Air Conditioning, Alloy Wheels, Cruise Control and much more! This Grand Cherokee Summit 4x4 is fully equipped and was traded right here at Volvo Cars NB! Worry Free Certified with Brand New Tires! Only $41,994 or $172/Wk Tax Inc. $0 Down! Call Toll Free 1-888-342-7597 or (506) 457-4500, or email Sales@volvocarsnb.com for more info! FREE DELIVERY ANYWHERE IN THE MARITIMES!! Worry-Free Certified Vehicles offer Canada's best protection for both you and your vehicle including an Industry Leading 170-point Mechanical and Cosmetic Inspection, and All Come with a Brand New 1-Year Motor Vehicle Inspection (MVI)! Our Worry Free Certified Vehicles offers you A Better Used Vehicle Period!!! Minimum of 6 Months Warranty for FREE, Satisfaction Guaranteed No Hassle 3-Day Exchange, Student and Military Rebates. We Work with All Lenders To Ensure You Get The BEST Financing Rates Guaranteed. FREE CarFax History Report with all vehicles!! *PROTECT YOURSELF!!! DO NOT PURCHASE A PRE-OWNED VEHICLE WITHOUT A CARFAX REPORT, THE ONLY CANADIAN HISTORY REPORT ON THE MARKET*	***With the HUGE influx of New Arrivals at Volvo Cars New Brunswick, certain vehicles may not be ready or have pictures yet. Feel free to send us an email and we will be glad to let you know the status of the vehicle you’re interested in and send you any additional information needed to offer you a seamless transaction!!! ***	It is the purchaser's responsibility to personally verify year, make, model, mileage, options and any remaining or extended warranty prior to purchasing this vehicle. Although many of our Worry Free Certified vehicles have multiple sets of keys, a minimum of 1 key can be guaranteed with our pre-loved units. Convenient and Quick On-Site Financing Offering the Lowest Applicable Rates - Regardless of credit, we have access to lenders that can help! FREE No Obligation Pre-Approvals within 2 hours from the Comfort of Your Home!! Apply Online @ www.driveluxury.ca	Communities Served: In N.B. : Fredericton, Saint John, Moncton, Quispamsis, Rothesay, Hampton, Sussex, Oromocto, New Maryland, Saint Andrews, Saint Stephen, Woodstock, Grand Falls, Edmundston, Campbellton, Dalhousie, Bathurst, Miramichi, Richibucto, Buctouche, Cocagne, Shediac, Memramcook, Sackville, and everywhere in between! In N.S. : Amherst, Truro, New Glasgow, Pictor, Antigonish, Port Hawkesbury, Sydney, Glace Bay, Enfield, Fall River, Sackville, Waverley, Dartmouth, Halifax, Windsor, Wolfville, Kentville, Coldbrook, Berwick, Aylesford, Kingston, Greenwood, Middleton, Bridgetown, Digby, Yarmouth, Barrington, Shelburne, Liverpool, Bridgewater, Luneubury, Tantallon, and everywhere in between! In P.E.I. : Charlottetown, Summerside, Montague, Rusticoville, Kensington, Alberton, Tignish, O'Leary, and everywhere in between! 7-PASSENGER MDX ELITE AWD V6 WITH HEATED/COOLED LEATHER, NAV, 360 DEGREE CAM, DVD AND SUNROOF! TRADED RIGHT HERE AT VOLVO CARS NB! This Lunar Silver Metallic MDX Elite AWD is powered by a 3.5L 6-Cylinder Engine and a 9 Speed Automatic Transmission. Being an Elite, it comes fully equipped with Power Heated and Cooled Leather Interior with Driver’s Memory Positioning, Factory Acura Navigation System, 360 Degree View Camera with Park Assist, Power Sunroof, Factory Acura Rear Entertainment System, Power Heated Steering Wheel, Lane Departure Warning, Blind Spot Detection System, Factory Acura Keyless Entry with Remote Start, Bluetooth Hands-free, Tri-Zone Climate Control, Satellite Radio, Touchscreen Multimedia Center, Alloy Wheels, Cruise Control and much more! This MDX Elite AWD is fully equipped with fantastic options and comes backed by our Worry Free Certification! Traded right here at Volvo Cars NB! Only $41,994 or $172/Wk Tax Inc. $0 Down! Call Toll Free 1-888-342-7597 or (506) 457-4500, or email Sales@volvocarsnb.com for more info! FREE DELIVERY ANYWHERE IN THE MARITIMES!! Worry-Free Certified Vehicles offer Canada's best protection for both you and your vehicle including an Industry Leading 170-point Mechanical and Cosmetic Inspection, and All Come with a Brand New 1-Year Motor Vehicle Inspection (MVI)! Our Worry Free Certified Vehicles offers you A Better Used Vehicle Period!!! Minimum of 6 Months Warranty for FREE, Satisfaction Guaranteed No Hassle 3-Day Exchange, Student and Military Rebates. We Work with All Lenders To Ensure You Get The BEST Financing Rates Guaranteed. FREE CarFax History Report with all vehicles!! *PROTECT YOURSELF!!! DO NOT PURCHASE A PRE-OWNED VEHICLE WITHOUT A CARFAX REPORT, THE ONLY CANADIAN HISTORY REPORT ON THE MARKET*	***With the HUGE influx of New Arrivals at Volvo Cars New Brunswick, certain vehicles may not be ready or have pictures yet. Feel free to send us an email and we will be glad to let you know the status of the vehicle you’re interested in and send you any additional information needed to offer you a seamless transaction!!! ***	It is the purchaser's responsibility to personally verify year, make, model, mileage, options and any remaining or extended warranty prior to purchasing this vehicle. Although many of our Worry Free Certified vehicles have multiple sets of keys, a minimum of 1 key can be guaranteed with our pre-loved units. Convenient and Quick On-Site Financing Offering the Lowest Applicable Rates - Regardless of credit, we have access to lenders that can help! FREE No Obligation Pre-Approvals within 2 hours from the Comfort of Your Home!! Apply Online @ www.driveluxury.ca	Communities Served: In N.B. : Fredericton, Saint John, Moncton, Quispamsis, Rothesay, Hampton, Sussex, Oromocto, New Maryland, Saint Andrews, Saint Stephen, Woodstock, Grand Falls, Edmundston, Campbellton, Dalhousie, Bathurst, Miramichi, Richibucto, Buctouche, Cocagne, Shediac, Memramcook, Sackville, and everywhere in between! In N.S. : Amherst, Truro, New Glasgow, Pictor, Antigonish, Port Hawkesbury, Sydney, Glace Bay, Enfield, Fall River, Sackville, Waverley, Dartmouth, Halifax, Windsor, Wolfville, Kentville, Coldbrook, Berwick, Aylesford, Kingston, Greenwood, Middleton, Bridgetown, Digby, Yarmouth, Barrington, Shelburne, Liverpool, Bridgewater, Luneubury, Tantallon, and everywhere in between! In P.E.I. : Charlottetown, Summerside, Montague, Rusticoville, Kensington, Alberton, Tignish, O'Leary, and everywhere in between! VOLVO CERTIFIED PRE-OWNED S90 T6 INSCRIPTION AWD WITH FACTORY VOLVO EXTNEDED WARRANTY TO 160K! This Magic Blue S90 T6 Inscription AWD is powered by a 2.0L 4-Cylinder Engine and an Automatic Transmission. It comes fully equipped with Climate, Convenience and Vision Packages which includes Power Heated and Cooled Amber Nappa Leather with Drivers Memory Positioning, Factory Volvo Navigation System, Rear View Camera with 360 Degree Parking Sensors, Power Sunroof, Premium Bowers and Wilkins Audio, Heated Multifunction Steering Wheel, Rear Heated Seats, 20 Inch 8-Spoke Alloys, Blind Spot Information System, Head-Up Display, Lane Keeping Aid and Cross Traffic Alert, Dual Climate Control, Bluetooth Hands-free, Satellite Radio, Factory Volvo Keyless Entry with Remote Trunk Release, City Safety, Power Locks and Windows, Active Bending Headlights, Adaptive Cruise Control and much more! This Volvo Certified Pre-owned S90 is Exceptional Value to say the least. With the savings off original MSRP for very minimal mileage PLUS the value of the Volvo 6-Year 160,000 KM Extended Warranty, you are saving nearly $35,000!!! Needless to say it will not last long!! Only $47,944 or $196/Wk Tax Inc. $0 Down! Call Toll Free 1-888-342-7597 or (506) 457-4500, or email Sales@volvocarsnb.com for more info! FREE DELIVERY ANYWHERE IN THE MARITIMES!! 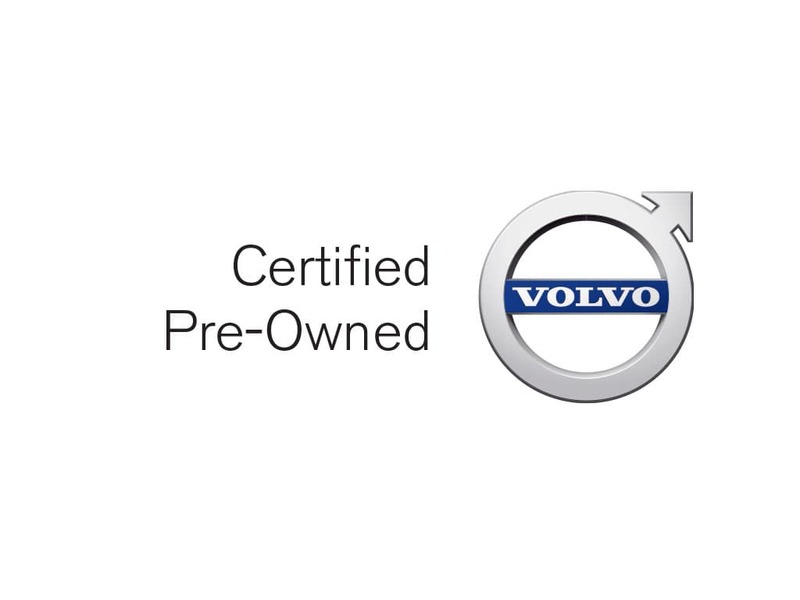 When you buy a Certified Pre-Owned Volvo, you’re getting more than a great previously owned vehicle. You’re getting our commitment to your satisfaction. We accept only the best pre-owned Volvos, and we make them even better with our signature quality and safety. All pre-owned vehicles receive the latest software upgrades, and Volvo-approved checks to certify they meet our safety, performance, and appearance standards through our 130+ Point Inspection. Enjoy the Total Confidence and Peace of Mind that comes with our 72 Month/160,000 km Warranty, 24/7/365 Roadside assistance during the entire warranty with Volvo On Call, and attractive financing options starting at 0.9% on select terms! When you purchase a Certified Pre-Owned Volvo, you’ll have the same confidence and pride in your vehicle as you would a brand-new one — without the new-vehicle price tag! ***With the HUGE influx of New Arrivals at Volvo Cars New Brunswick, certain vehicles may not be ready or have pictures yet. Feel free to send us an email and we will be glad to let you know the status of the vehicle you’re interested in and send you any additional information needed to offer you a seamless transaction!!! ***	It is the purchaser’s responsibility to personally verify year, make, model, options and any remaining or extended warranty prior to purchasing this vehicle. Convenient and Quick On-Site Financing Offering the Lowest Applicable Rates - Regardless of credit, we have access to lenders that can help! FREE No Obligation Pre-Approvals within 2 hours!! Apply Online @ www.volvocarsnb.com	Communities Served: In N.B. : Fredericton, Saint John, Moncton, Quispamsis, Rothesay, Hampton, Sussex, Oromocto, New Maryland, Saint Andrews, Saint Stephen, Woodstock, Grand Falls, Edmundston, Campbellton, Dalhousie, Bathurst, Miramichi, Richibucto, Buctouche, Cocagne, Shediac, Memramcook, Sackville, and everywhere in between! In N.S. : Amherst, Truro, New Glasgow, Pictor, Antigonish, Port Hawkesbury, Sydney, Glace Bay, Enfield, Fall River, Sackville, Waverley, Dartmouth, Halifax, Windsor, Wolfville, Kentville, Coldbrook, Berwick, Aylesford, Kingston, Greenwood, Middleton, Bridgetown, Digby, Yarmouth, Barrington, Shelburne, Liverpool, Bridgewater, Luneubury, Tantallon, and everywhere in between! In P.E.I. : Charlottetown, Summerside, Montague, Rusticoville, Kensington, Alberton, Tignish, O’Leary, and everywhere in between! ODYSSEY EX WITH HEATED SEATS, DVD AND BACK UP CAM! TRADED RIGHT HERE AT VOLVO CARS NB! This Modern Steel Metallic Odyssey EX is powered by a 3.5L 6-Cylinder Engine and an Automatic Transmission. It comes fully equipped with Power Heated Front Seats, Rear View Camera with Park Assist, Factory Honda Entertainment System, Factory Honda Keyless Entry, Bluetooth Hands-free, Satellite Radio, Touchscreen, Power Locks and Windows, AM/FM Radio, Fog Lights, Cruise Control, Alloy Wheels and much more! This Odyssey EX is fully equipped and Worry Free Certified! Only $25,994 or $122/Wk Tax Inc. $0 Down! Call Toll Free 1-888-342-7597 or (506) 457-4500, or email Sales@volvocarsnb.com for more info! FREE DELIVERY ANYWHERE IN THE MARITIMES!! Worry-Free Certified Vehicles offer Canada's best protection for both you and your vehicle including an Industry Leading 170-point Mechanical and Cosmetic Inspection, and All Come with a Brand New 1-Year Motor Vehicle Inspection (MVI)! Our Worry Free Certified Vehicles offers you A Better Used Vehicle Period!!! Minimum of 6 Months Warranty for FREE, Satisfaction Guaranteed No Hassle 3-Day Exchange, Student and Military Rebates. We Work with All Lenders To Ensure You Get The BEST Financing Rates Guaranteed. FREE CarFax History Report with all vehicles!! *PROTECT YOURSELF!!! DO NOT PURCHASE A PRE-OWNED VEHICLE WITHOUT A CARFAX REPORT, THE ONLY CANADIAN HISTORY REPORT ON THE MARKET*	***With the HUGE influx of New Arrivals at Volvo Cars New Brunswick, certain vehicles may not be ready or have pictures yet. Feel free to send us an email and we will be glad to let you know the status of the vehicle you’re interested in and send you any additional information needed to offer you a seamless transaction!!! ***	It is the purchaser's responsibility to personally verify year, make, model, mileage, options and any remaining or extended warranty prior to purchasing this vehicle. Although many of our Worry Free Certified vehicles have multiple sets of keys, a minimum of 1 key can be guaranteed with our pre-loved units. Convenient and Quick On-Site Financing Offering the Lowest Applicable Rates - Regardless of credit, we have access to lenders that can help! FREE No Obligation Pre-Approvals within 2 hours from the Comfort of Your Home!! Apply Online @ www.driveluxury.ca	Communities Served: In N.B. : Fredericton, Saint John, Moncton, Quispamsis, Rothesay, Hampton, Sussex, Oromocto, New Maryland, Saint Andrews, Saint Stephen, Woodstock, Grand Falls, Edmundston, Campbellton, Dalhousie, Bathurst, Miramichi, Richibucto, Buctouche, Cocagne, Shediac, Memramcook, Sackville, and everywhere in between! In N.S. : Amherst, Truro, New Glasgow, Pictor, Antigonish, Port Hawkesbury, Sydney, Glace Bay, Enfield, Fall River, Sackville, Waverley, Dartmouth, Halifax, Windsor, Wolfville, Kentville, Coldbrook, Berwick, Aylesford, Kingston, Greenwood, Middleton, Bridgetown, Digby, Yarmouth, Barrington, Shelburne, Liverpool, Bridgewater, Luneubury, Tantallon, and everywhere in between! In P.E.I. : Charlottetown, Summerside, Montague, Rusticoville, Kensington, Alberton, Tignish, O'Leary, and everywhere in between! REDUCED $1000! MURANO SV AWD WITH HEATED SEATS, NAV, BACK UP CAM AND SUNROOF! This Magnetic Murano SV AWD is powered by a 3.5L 6-Cylinder Engine and an Automatic Transmission. It comes fully equipped with Power Heated Front Seats, Factory Nissan Navigation System, Rear View Camera with Park Assist, Power Sunroof, Dual Climate Control, Factory Nissan Keyless Entry with Remote Start, Touchscreen Multimedia Center, Power Lift Gate, Bluetooth Hands-free, Satellite Radio, Power Locks and Windows, AM/FM Radio, Fog Lights, Cruise Control and much more! This Murano is fully equipped and ready for its next owner! Worry Free Certified! Only $24,994 or $117/Wk Tax Inc. $0 Down! Call Toll Free 1-888-342-7597 or (506) 457-4500, or email Sales@volvocarsnb.com for more info! FREE DELIVERY ANYWHERE IN THE MARITIMES!! Worry-Free Certified Vehicles offer Canada's best protection for both you and your vehicle including an Industry Leading 170-point Mechanical and Cosmetic Inspection, and All Come with a Brand New 1-Year Motor Vehicle Inspection (MVI)! Our Worry Free Certified Vehicles offers you A Better Used Vehicle Period!!! Minimum of 6 Months Warranty for FREE, Satisfaction Guaranteed No Hassle 3-Day Exchange, Student and Military Rebates. We Work with All Lenders To Ensure You Get The BEST Financing Rates Guaranteed. FREE Carfax History Report with all vehicles!! *PROTECT YOURSELF!!! DO NOT PURCHASE A PRE-OWNED VEHICLE WITHOUT A CARFAX REPORT, THE ONLY CANADIAN HISTORY REPORT ON THE MARKET*	***With the HUGE influx of New Arrivals at Volvo Cars New Brunswick, certain vehicles may not be ready or have pictures yet. Feel free to send us an email and we will be glad to let you know the status of the vehicle you’re interested in and send you any additional information needed to offer you a seamless transaction!!! ***	It is the purchaser's responsibility to personally verify year, make, model, mileage, options and any remaining or extended warranty prior to purchasing this vehicle. Although many of our Worry Free Certified vehicles have multiple sets of keys, a minimum of 1 key can be guaranteed with our pre-loved units. Convenient and Quick On-Site Financing Offering the Lowest Applicable Rates - Regardless of credit, we have access to lenders that can help! FREE No Obligation Pre-Approvals within 2 hours from the Comfort of Your Home!! Apply Online @ www.driveluxury.ca	Communities Served: In N.B. : Fredericton, Saint John, Moncton, Quispamsis, Rothesay, Hampton, Sussex, Oromocto, New Maryland, Saint Andrews, Saint Stephen, Woodstock, Grand Falls, Edmundston, Campbellton, Dalhousie, Bathurst, Miramichi, Richibucto, Buctouche, Cocagne, Shediac, Memramcook, Sackville, and everywhere in between! In N.S. : Amherst, Truro, New Glasgow, Pictor, Antigonish, Port Hawkesbury, Sydney, Glace Bay, Enfield, Fall River, Sackville, Waverley, Dartmouth, Halifax, Windsor, Wolfville, Kentville, Coldbrook, Berwick, Aylesford, Kingston, Greenwood, Middleton, Bridgetown, Digby, Yarmouth, Barrington, Shelburne, Liverpool, Bridgewater, Luneubury, Tantallon, and everywhere in between! In P.E.I. : Charlottetown, Summerside, Montague, Rusticoville, Kensington, Alberton, Tignish, O'Leary, and everywhere in between! ROGUE SV AWD WITH HEATED SEATS AND BACK UP CAM! ONLY 45K! This Artic Blue Rogue SV AWD is powered by a 2.5L 4-Cylinder Engine and an Automatic Transmission. It comes fully equipped with Power Heated Front Seats, Rear View Camera with Park Assist, Factory Nissan Keyless Entry, Bluetooth Hands-free, Satellite Radio, Power Locks and Windows, Fog Lights, Cruise Control and much more! This Rogue SV AWD is fully equipped and Worry Free Certified! Only $20,994 or $99/Wk Tax Inc. $0 Down! Call Toll Free 1-888-342-7597 or (506) 457-4500, or email Sales@volvocarsnb.com for more info! FREE DELIVERY ANYWHERE IN THE MARITIMES!! Worry-Free Certified Vehicles offer Canada's best protection for both you and your vehicle including an Industry Leading 170-point Mechanical and Cosmetic Inspection, and All Come with a Brand New 1-Year Motor Vehicle Inspection (MVI)! Our Worry Free Certified Vehicles offers you A Better Used Vehicle Period!!! Minimum of 6 Months Warranty for FREE, Satisfaction Guaranteed No Hassle 3-Day Exchange, Student and Military Rebates. We Work with All Lenders To Ensure You Get The BEST Financing Rates Guaranteed. FREE CarFax History Report with all vehicles!! *PROTECT YOURSELF!!! DO NOT PURCHASE A PRE-OWNED VEHICLE WITHOUT A CARFAX REPORT, THE ONLY CANADIAN HISTORY REPORT ON THE MARKET*	***With the HUGE influx of New Arrivals at Volvo Cars New Brunswick, certain vehicles may not be ready or have pictures yet. Feel free to send us an email and we will be glad to let you know the status of the vehicle you’re interested in and send you any additional information needed to offer you a seamless transaction!!! ***	It is the purchaser's responsibility to personally verify year, make, model, mileage, options and any remaining or extended warranty prior to purchasing this vehicle. Although many of our Worry Free Certified vehicles have multiple sets of keys, a minimum of 1 key can be guaranteed with our pre-loved units. Convenient and Quick On-Site Financing Offering the Lowest Applicable Rates - Regardless of credit, we have access to lenders that can help! FREE No Obligation Pre-Approvals within 2 hours from the Comfort of Your Home!! Apply Online @ www.driveluxury.ca	Communities Served: In N.B. : Fredericton, Saint John, Moncton, Quispamsis, Rothesay, Hampton, Sussex, Oromocto, New Maryland, Saint Andrews, Saint Stephen, Woodstock, Grand Falls, Edmundston, Campbellton, Dalhousie, Bathurst, Miramichi, Richibucto, Buctouche, Cocagne, Shediac, Memramcook, Sackville, and everywhere in between! In N.S. : Amherst, Truro, New Glasgow, Pictor, Antigonish, Port Hawkesbury, Sydney, Glace Bay, Enfield, Fall River, Sackville, Waverley, Dartmouth, Halifax, Windsor, Wolfville, Kentville, Coldbrook, Berwick, Aylesford, Kingston, Greenwood, Middleton, Bridgetown, Digby, Yarmouth, Barrington, Shelburne, Liverpool, Bridgewater, Luneubury, Tantallon, and everywhere in between! In P.E.I. : Charlottetown, Summerside, Montague, Rusticoville, Kensington, Alberton, Tignish, O'Leary, and everywhere in between! RAV4 XLE AWD WITH HEATED SEATS, BACK UP CAM AND SUNROOF! This Hot Lava RAV4 XLE AWD is powered by a 2.5L 4-Cylinder Engine and an Automatic Transmission. It comes fully equipped with Power Heated Front Seats, Rear View Camera with Park Assist, Power Sunroof, Touchscreen Multimedia Center, Factory Toyota Keyless Entry, Bluetooth Hands-free, Satellite Radio, Power Locks and Windows, AM/FM Radio, Fog Lights, Alloy Wheels, Cruise Control and much more! This RAV4 XLE AWD is fully equipped and ready for its next owner! Worry Free Certified! Only $25,994 or $122/Wk Tax Inc. $0 Down! Call Toll Free 1-888-342-7597 or (506) 457-4500, or email Sales@volvocarsnb.com for more info! FREE DELIVERY ANYWHERE IN THE MARITIMES!! Worry-Free Certified Vehicles offer Canada's best protection for both you and your vehicle including an Industry Leading 170-point Mechanical and Cosmetic Inspection, and All Come with a Brand New 1-Year Motor Vehicle Inspection (MVI)! Our Worry Free Certified Vehicles offers you A Better Used Vehicle Period!!! Minimum of 6 Months Warranty for FREE, Satisfaction Guaranteed No Hassle 3-Day Exchange, Student and Military Rebates. We Work with All Lenders To Ensure You Get The BEST Financing Rates Guaranteed. FREE CarFax History Report with all vehicles!! *PROTECT YOURSELF!!! DO NOT PURCHASE A PRE-OWNED VEHICLE WITHOUT A CARFAX REPORT, THE ONLY CANADIAN HISTORY REPORT ON THE MARKET*	***With the HUGE influx of New Arrivals at Volvo Cars New Brunswick, certain vehicles may not be ready or have pictures yet. Feel free to send us an email and we will be glad to let you know the status of the vehicle you’re interested in and send you any additional information needed to offer you a seamless transaction!!! ***	It is the purchaser's responsibility to personally verify year, make, model, mileage, options and any remaining or extended warranty prior to purchasing this vehicle. Although many of our Worry Free Certified vehicles have multiple sets of keys, a minimum of 1 key can be guaranteed with our pre-loved units. Convenient and Quick On-Site Financing Offering the Lowest Applicable Rates - Regardless of credit, we have access to lenders that can help! FREE No Obligation Pre-Approvals within 2 hours from the Comfort of Your Home!! Apply Online @ www.driveluxury.ca	Communities Served: In N.B. : Fredericton, Saint John, Moncton, Quispamsis, Rothesay, Hampton, Sussex, Oromocto, New Maryland, Saint Andrews, Saint Stephen, Woodstock, Grand Falls, Edmundston, Campbellton, Dalhousie, Bathurst, Miramichi, Richibucto, Buctouche, Cocagne, Shediac, Memramcook, Sackville, and everywhere in between! In N.S. : Amherst, Truro, New Glasgow, Pictor, Antigonish, Port Hawkesbury, Sydney, Glace Bay, Enfield, Fall River, Sackville, Waverley, Dartmouth, Halifax, Windsor, Wolfville, Kentville, Coldbrook, Berwick, Aylesford, Kingston, Greenwood, Middleton, Bridgetown, Digby, Yarmouth, Barrington, Shelburne, Liverpool, Bridgewater, Luneubury, Tantallon, and everywhere in between! In P.E.I. : Charlottetown, Summerside, Montague, Rusticoville, Kensington, Alberton, Tignish, O'Leary, and everywhere in between! CERTIFIED PRE-OWNED XC90 T6 INSCRIPTION AWD WITH WARRANTY TO 160K! TRADED RIGHT HERE AT VOLVO CARS NB! This Crystal White XC90 T6 Inscription AWD is powered by a 2.0L 4-Cylinder Engine and an Automatic Transmission. It comes fully equipped with Climate and Convenience Packages which includes Power Heated and Cooled Leather Interior with Driver’s Memory Positioning Factory Volvo Navigation System, 360 Degree View Camera, Power Panoramic Sunroof, Factory Volvo DVD Entertainment System, Tailored Dash, Tri-Zone Climate Control, Heated Rear Seats, Heated Steering Wheel, Touchscreen Multimedia Center, Lane Keeping Aid, Blind Spot Detection, Factory Volvo Keyless Entry, Bluetooth Hands-free, Satellite Radio, Power Lift Gate, Power Locks and Windows, Fog Lights, Cruise Control and much more! This Fully Equipped XC90 T6 Inscription was traded right here at Volvo Cars NB and comes with all features above PLUS Factory Volvo Extended Warranty to 160,000km! Only $50,944 or $234/Wk Tax Inc. $0 Down! Call Toll Free 1-888-342-7597 or (506) 457-4500, or email Sales@volvocarsnb.com for more info! FREE DELIVERY ANYWHERE IN THE MARITIMES!! When you buy a Certified Pre-Owned Volvo, you’re getting more than a great previously owned vehicle. You’re getting our commitment to your satisfaction. We accept only the best pre-owned Volvos, and we make them even better with our signature quality and safety. All pre-owned vehicles receive the latest software upgrades, and Volvo-approved checks to certify they meet our safety, performance, and appearance standards through our 130+ Point Inspection. Enjoy the Total Confidence and Peace of Mind that comes with our 72 Month/160,000 km Warranty, 24/7/365 Roadside assistance during the entire warranty with Volvo On Call, and attractive financing options starting at 0.9% on select terms! When you purchase a Certified Pre-Owned Volvo, you’ll have the same confidence and pride in your vehicle as you would a brand-new one — without the new-vehicle price tag! ***With the HUGE influx of New Arrivals at Volvo Cars New Brunswick, certain vehicles may not be ready or have pictures yet. Feel free to send us an email and we will be glad to let you know the status of the vehicle you’re interested in and send you any additional information needed to offer you a seamless transaction!!! ***	It is the purchaser’s responsibility to personally verify year, make, model, options and any remaining or extended warranty prior to purchasing this vehicle. Convenient and Quick On-Site Financing Offering the Lowest Applicable Rates - Regardless of credit,we have access to lenders that can help! FREE No Obligation Pre-Approvals within 2 hours!! Apply Online @ www.volvocarsnb.com	Communities Served: In N.B. : Fredericton, Saint John, Moncton, Quispamsis, Rothesay, Hampton, Sussex, Oromocto, New Maryland, Saint Andrews, Saint Stephen, Woodstock, Grand Falls, Edmundston, Campbellton, Dalhousie, Bathurst, Miramichi, Richibucto, Buctouche, Cocagne, Shediac, Memramcook, Sackville, and everywhere in between! In N.S. : Amherst, Truro, New Glasgow, Pictor, Antigonish, Port Hawkesbury, Sydney, Glace Bay, Enfield, Fall River, Sackville, Waverley, Dartmouth, Halifax, Windsor, Wolfville, Kentville, Coldbrook, Berwick, Aylesford, Kingston, Greenwood, Middleton, Bridgetown, Digby, Yarmouth, Barrington, Shelburne, Liverpool, Bridgewater, Luneubury, Tantallon, and everywhere in between! In P.E.I. : Charlottetown, Summerside, Montague, Rusticoville, Kensington, Alberton, Tignish, O’Leary, and everywhere in between! PILOT EX-L 4X4 WITH HEATED LAETHER, DVD AND SUNROOF! This Dark Cherry Pearl Pilot EX-L 4x4 is powered by a 3.5L 6-Cylinder Engine and an Automatic Transmission. It comes fully equipped with Power Heated Leather Interior, Rear View Camera with Park Assist, DVD Entertainment System, Power Sunroof, Dual Climate Control, Factory Honda Keyless Entry, Bluetooth Hands-free, Satellite Radio, Power Locks and Windows, AM/FM Radio, Fog Lights, Alloy Wheels, Air Conditioning, Cruise Control and much more! This Pilot EX-L 4x4 is fully equipped and Worry Free Certified! Only $27,994 or $131/Wk Tax Inc. $0 Down! Call Toll Free 1-888-342-7597 or (506) 457-4500, or email Sales@volvocarsnb.com for more info! FREE DELIVERY ANYWHERE IN THE MARITIMES!! Worry-Free Certified Vehicles offer Canada's best protection for both you and your vehicle including an Industry Leading 170-point Mechanical and Cosmetic Inspection, and All Come with a Brand New 1-Year Motor Vehicle Inspection (MVI)! Our Worry Free Certified Vehicles offers you A Better Used Vehicle Period!!! Minimum of 6 Months Warranty for FREE, Satisfaction Guaranteed No Hassle 3-Day Exchange, Student and Military Rebates. We Work with All Lenders To Ensure You Get The BEST Financing Rates Guaranteed. FREE CarFax History Report with all vehicles!! *PROTECT YOURSELF!!! DO NOT PURCHASE A PRE-OWNED VEHICLE WITHOUT A CARFAX REPORT, THE ONLY CANADIAN HISTORY REPORT ON THE MARKET*	***With the HUGE influx of New Arrivals at Volvo Cars New Brunswick, certain vehicles may not be ready or have pictures yet. Feel free to send us an email and we will be glad to let you know the status of the vehicle you’re interested in and send you any additional information needed to offer you a seamless transaction!!! ***	It is the purchaser's responsibility to personally verify year, make, model, mileage, options and any remaining or extended warranty prior to purchasing this vehicle. Although many of our Worry Free Certified vehicles have multiple sets of keys, a minimum of 1 key can be guaranteed with our pre-loved units. Convenient and Quick On-Site Financing Offering the Lowest Applicable Rates - Regardless of credit, we have access to lenders that can help! FREE No Obligation Pre-Approvals within 2 hours from the Comfort of Your Home!! Apply Online @ www.driveluxury.ca	Communities Served: In N.B. : Fredericton, Saint John, Moncton, Quispamsis, Rothesay, Hampton, Sussex, Oromocto, New Maryland, Saint Andrews, Saint Stephen, Woodstock, Grand Falls, Edmundston, Campbellton, Dalhousie, Bathurst, Miramichi, Richibucto, Buctouche, Cocagne, Shediac, Memramcook, Sackville, and everywhere in between! In N.S. : Amherst, Truro, New Glasgow, Pictor, Antigonish, Port Hawkesbury, Sydney, Glace Bay, Enfield, Fall River, Sackville, Waverley, Dartmouth, Halifax, Windsor, Wolfville, Kentville, Coldbrook, Berwick, Aylesford, Kingston, Greenwood, Middleton, Bridgetown, Digby, Yarmouth, Barrington, Shelburne, Liverpool, Bridgewater, Luneubury, Tantallon, and everywhere in between! In P.E.I. : Charlottetown, Summerside, Montague, Rusticoville, Kensington, Alberton, Tignish, O'Leary, and everywhere in between!